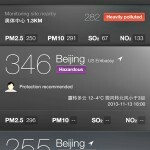 Day 160.5 in Beijing: Day One of The Smart Air Filter. 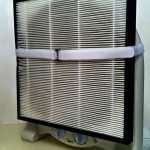 We have been using our Smart Air Filter for 24 hours. It was a fairly horrible pollution day in Beijing today. The picture makes that clear. However, that is outside our apartment. We had NO idea how bad it was inside our apartment. We actually keep a very clean apartment and make sure it is vacuumed, mopped and everything is put away each night. We detest culture and mess. As a therapist, the probably says something about my personality. I’m okay with it so it doesn’t bother me. 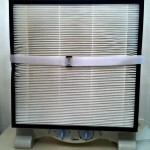 However, after one day of using our little R2D2 air filter buddy, we were disgusted and horrified. 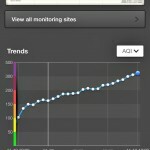 This is what we’ve been breathing, inside our apartment, since we’ve been in Beijing. This does not makes us happy. It also explains why we’ve both been having trouble sleeping, feeling utterly fatigued when we wake up, and feeling as if we are low on energy compared to how we were in America and also on vacation in Malaysia and Singapore. It all starts to fit together when you can see the puzzle and all the pieces. Simply said, we ordered two more of our little R2D2 units right as we were posting this. Our health is worth way more than our little buddies cost and we are going to need all the help we can get when the Beijing winters get worse and they turn on the coal power plants to heat the city and the rest of China. 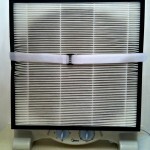 Take a look at the black pollution that has framed where the fan is pushing it through the HEPA filter. Imagine what this will look like in a week? And yet, you can be sure, I’ll be taking pictures and you can see what it looks like along with me. You can breathe easy though, my friends, since you don’t have to breathe the air Jill, I and 23 million other Beijingers are breathing right now. R2D2 from yesterday. A brilliant white. A blackened mess just 24 hours later. We could actually taste and smell coal in the air today. The air quality started at around 80…and got progressively unhealthy. My first snapshot of the air quality..or lack of it. The air quality later this evening. 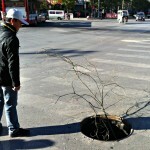 Day 159 in Beijing: Manhole Maintenance. 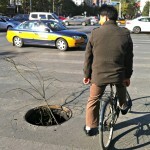 I was walking to the store yesterday and noticed this rather, um, how shall I say, interesting choice of pothole cover. Well, not as much cover as growth. I stood there for a few minutes, in a bit of awe and amazement, thinking that this pothole was either stolen, moved, or lost, and someone thought this was the best way to make sure people don’t fall into the hole. This is a very busy street with lots of cars, trucks, buses, motorcycles, and people on bicycles driving on it. 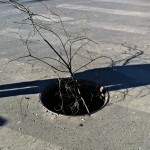 This wasn’t here last night so, sometime during the night, this manhole was taken and replaced with this branch. A lot of people in Beijing seem to ride their bikes and motorcycles with headlights without their headlights turned on. Honestly, I’ve almost been run over by cyclists and scooter/motorcyclists that don’t use their lights at night. It is very dangerous and I would hate to think of what might have happened in between the time the manhole cover was removed and the branch substituted for it. Hopefully no one was hurt and they will have a new manhole cover in a day or two. Watching the reactions of people to the branch was priceless. I have a feeling this tree isn’t growing in this hole. 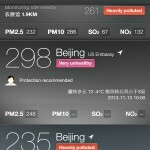 Nothing new in Beijing. Just a manhole cover with a tree coming out of it.